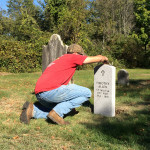 Timothy Allen came from Woodbury CT in 1768 and was the first settler in the NW section of Pawlet, VT. A veteran of the French and Indian War, he served as the Pawlet town moderator and quartered Ethan Allen’s troops on their way to the surprise capture of Fort Ticonderoga in 1775. 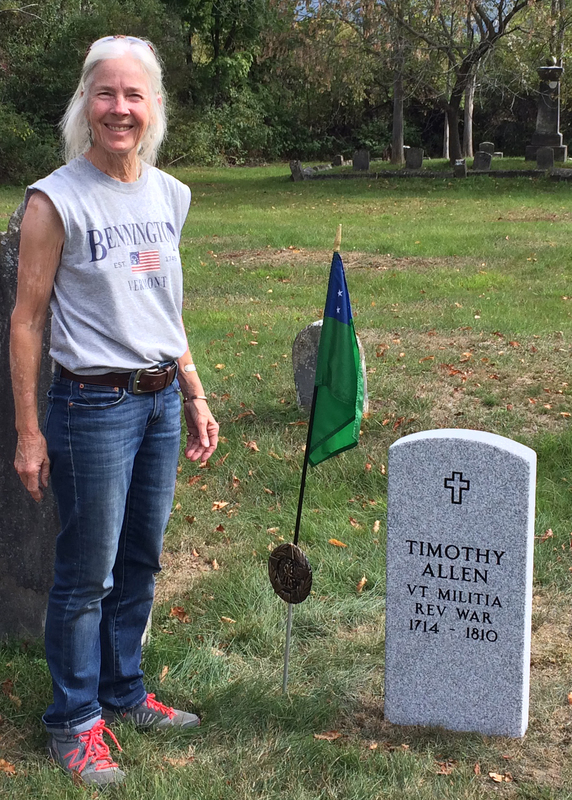 Timothy Allen had five sons, Parmellee, Caleb, Gideon, Justus and Timothy Jr. who all served in Green Mountain Boy Vermont Militia and the American Revolution. 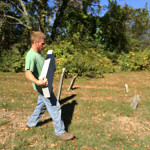 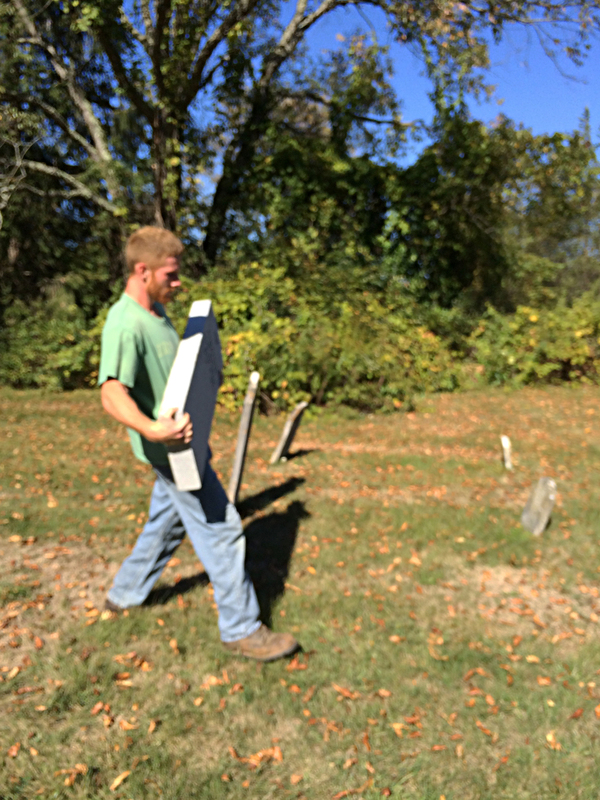 Timothy died in 1810, age 96 and was buried next to his son Caleb in an unmarked grave. 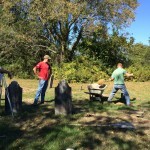 Last September with help from Keith Barker of Bowker & Son Memorials in West Rutland, his friends Craig “Critter” and Andy, we placed a headstone on his grave in the small Blossom Cemetery in North Pawlet. 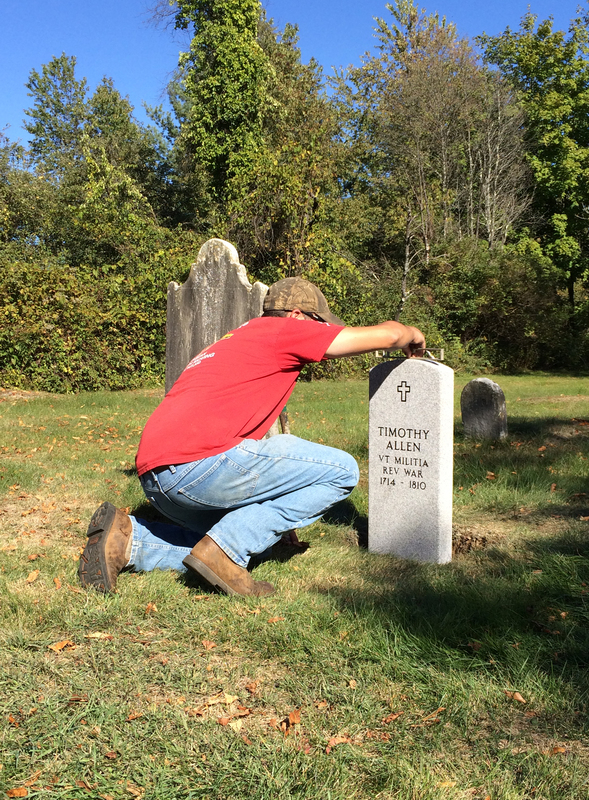 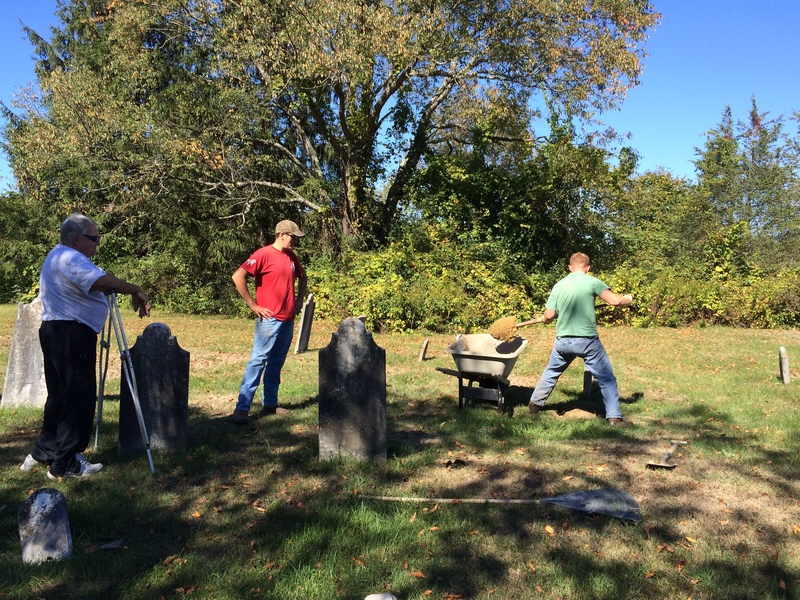 It was a beautiful fall day, and a rewarding experience to at last honor Timothy Allen, friend of Ethan Allen and a Green Mountain Boy.